New High Value Printable Coupons: Schick, Huggies, Clorox, Emerald, Kellogg’s, & More! April 16, 2019 by Laurie 9 Comments This post may contain affiliate links, which means if you click on a link and purchase something, I may earn a small commission (at no additional cost to you.) See my disclosure policy HERE. and LOTS more. Go HERE to print them while they last! Have a smartphone? Learn how to print these coupons from home on your Smartphone over HERE. April 13, 2019 by Laurie 4 Comments This post may contain affiliate links, which means if you click on a link and purchase something, I may earn a small commission (at no additional cost to you.) See my disclosure policy HERE. 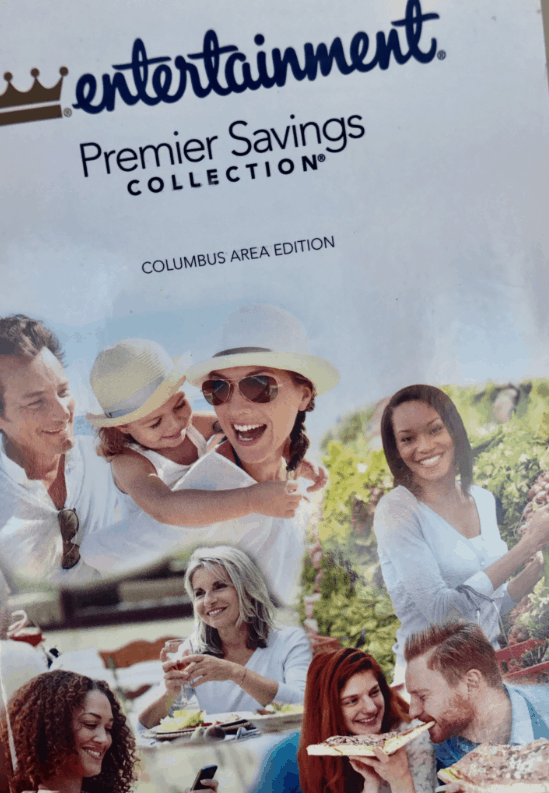 We are expecting 2 SmartSource and 1 RetailMeNot coupon insert in the 4/14/19 Sunday paper! Curious how I organize my coupons? Here you go. April 12, 2019 by Laurie 4 Comments This post may contain affiliate links, which means if you click on a link and purchase something, I may earn a small commission (at no additional cost to you.) See my disclosure policy HERE. New Month: New Free Printable Coupons! Well, folks ~ it's already April (how crazy is that?!) and there are oodles of free new and re-set coupons to make a great start to the month. Here are just a few of the coupons I see available . . .
Did you know you can print coupons from your Smartphone? Learn how HERE. Print more FREE high value coupons right from your home when you go HERE, HERE and HERE. Dole Pineapple Coupon + Walmart Deal! June 3, 2013 by Laurie Leave a Comment This post may contain affiliate links, which means if you click on a link and purchase something, I may earn a small commission (at no additional cost to you.) See my disclosure policy HERE. Right now you can print off an awesome coupon for $0.75/2 Dole Pineapple Cans. Walmart has some cans priced only at $0.78 each so you can get a great deal after the coupon! High Value Bic Flame Disk Coupon + Rite Aid Deal! June 1, 2013 by Laurie Leave a Comment This post may contain affiliate links, which means if you click on a link and purchase something, I may earn a small commission (at no additional cost to you.) See my disclosure policy HERE. Head right on over to Coupons.com to print another $2/1 Bic FlameDisk coupon as it’s back again! Through TODAY only (6/1) you can grab this awesome deal at Rite Aid. May 30, 2013 by Laurie Leave a Comment This post may contain affiliate links, which means if you click on a link and purchase something, I may earn a small commission (at no additional cost to you.) See my disclosure policy HERE. Here's another great coupon you will want to print now! Currently you can pick up both of these great Schick coupons on Coupons.com. $0.77 Tai Pei Asian Garden Entrees at Target! There is an awesome new coupon on Coupons.com right now for Buy One Get One Free Tai Pei Asian Garden Entrees! These are priced at just $2.29 at Target so you can get a good deal after the coupon! Try zipcode 90210 if you don't see the coupon right away. Target Deal: Starbucks Refreshers Only $3.29 Per Package! May 28, 2013 by Laurie Leave a Comment This post may contain affiliate links, which means if you click on a link and purchase something, I may earn a small commission (at no additional cost to you.) See my disclosure policy HERE. Mmmm, here's a great stock up price on Starbucks Drinks! Right now, Target is offering a great deal when you buy select Starbucks items you get a $10 Starbucks Gift Card with your purchase! Stack the sale with these great coupons to get the best deal and pick up Starbucks Via packages for less than half price! Stock up on facial products this week at Target with the great gift card deal they have going on for Olay products. Right now when you buy 3 selected Olay products you get a $5 Target Gift Card back! Here's a deal you can try to get Olay Cleansers or Wipes for as low as $1.66 each after coupons and gift card! Final Price: As low as $4.97 – just $1.66 each! Thanks, Totally Target! See all the deals at Target this week. Free Reach Floss and Toothbrushes With Coupons! August 3, 2012 by Laurie Leave a Comment This post may contain affiliate links, which means if you click on a link and purchase something, I may earn a small commission (at no additional cost to you.) See my disclosure policy HERE. Print these coupons while they are still available, they won't last long! August 3, 2012 by Laurie 1 Comment This post may contain affiliate links, which means if you click on a link and purchase something, I may earn a small commission (at no additional cost to you.) See my disclosure policy HERE. Head over and like the Old Orchard page on Facebook to be able to print a coupon for buy one get one free Old Orchard Frozen Juice Concentrates! This coupon only has a limited availability so make sure to print now while you can! Yoplait has a new varity of yogurt out called Simplait! Yoplait has released a coupon for $0.30/1 Yoplait Simplait Yogurt. If you store doubles you should be able to get free yogurt with this coupon! July 6, 2012 by Laurie Leave a Comment This post may contain affiliate links, which means if you click on a link and purchase something, I may earn a small commission (at no additional cost to you.) See my disclosure policy HERE. Head over to the John Frieda Facebook page to print off a coupon for $2 off any John Frieda Sheer Blonde Product. Hang onto this one and use it with a sale! March 14, 2012 by Laurie Leave a Comment This post may contain affiliate links, which means if you click on a link and purchase something, I may earn a small commission (at no additional cost to you.) See my disclosure policy HERE. There are several new coupon for breakfast products on Coupons.com. Make sure you at least print the coupon for Minute Maid, I haven't seen one of those in a while! Free Pineapple at Earth Fare! December 16, 2011 by Laurie Leave a Comment This post may contain affiliate links, which means if you click on a link and purchase something, I may earn a small commission (at no additional cost to you.) See my disclosure policy HERE. JC Penny $10 off $25 Coupon! December 15, 2011 by Laurie Leave a Comment This post may contain affiliate links, which means if you click on a link and purchase something, I may earn a small commission (at no additional cost to you.) See my disclosure policy HERE. From today (12/15) through the 17th you can print and use this coupon for $10 off a $25 purchase at JC Penny! There is no exclusions on this coupon so you can use it on sale and clearance items! Sister Schubert’s Rolls $2 at Publix! December 15, 2011 by Laurie 2 Comments This post may contain affiliate links, which means if you click on a link and purchase something, I may earn a small commission (at no additional cost to you.) See my disclosure policy HERE. There is another great new coupon on Coupons.com for $0.50/1 Sister Schubert's Rolls. These are priced at just $3 at Publix so only $2 after the coupon doubles. As low as $2 each after coupon doubles! Yet another great new coupon on Coupons.com today! This one is good for $1/1 Smucker's Orchard's Finest Jam. This should be price at around $2.79 at Target so only $1.79 after this new coupon! Use zipcode 95677 if you don't see it right away. Dean’s Heat and Eat Dip $0.39 at Walmart! There's a new coupon on Coupons.com good for $1/1 Dean's Heat and Eat Dip which is a new product. These are only around $1.39 at Walmart so you should be able to get it for just $0.39 after the coupon! As low as $0.39 after coupon! December 14, 2011 by Laurie Leave a Comment This post may contain affiliate links, which means if you click on a link and purchase something, I may earn a small commission (at no additional cost to you.) See my disclosure policy HERE. Head over to the Chiquita Facebook page to start sharing and try and get your coupon! If you aren't sure which stores carry these you can just give them a call at (800) 242-5472 to find a location nearest you. Gold Medal Flour Coupon Stack at Target! December 14, 2011 by Laurie 5 Comments This post may contain affiliate links, which means if you click on a link and purchase something, I may earn a small commission (at no additional cost to you.) See my disclosure policy HERE. Target just released a new coupon on their website that you can stack with a manufacturer's coupon and their current sale on Gold Medal Flour to make a good deal! Here's another new coupon to pair up for more baking supplies! Find more Target deals for the week over here! Caribou Coffee is celebrating it's birthday today by selling any of their medium hot drinks for just $2! Just print out the picture above or show it to them on your mobile phone to get your discount! Parents Choice Formula Only $7.88! December 13, 2011 by Laurie Leave a Comment This post may contain affiliate links, which means if you click on a link and purchase something, I may earn a small commission (at no additional cost to you.) See my disclosure policy HERE. You can print 2 coupons per computer. This is a great stock up price! Print this coupon and take it to your nearest Yankee Candle store or reseller to get Yankee Candle Tarts or Samps for only $1. This coupon is good through 12/24. December 12, 2011 by Laurie Leave a Comment This post may contain affiliate links, which means if you click on a link and purchase something, I may earn a small commission (at no additional cost to you.) See my disclosure policy HERE. Coupons.com has a new coupon out for $1/1 Eucerin or Aquaphor Lotion. If your Target carries the travel size for $0.99 you can get them for free with this coupon!